Updated This is an article from 2015 that is updated with new information about RenderGarden and Adobe Media Encoder. RenderGarden has been called the new “Killer App” and it is similar to the old BG Render script, which you may be familiar with. It splits your comp into a specified number of segments (seeds) and then renders them to multiple background command line windows (gardeners). Through segmenting the comp into multiple seeds, you can fully maximize your CPU cores on a single machine or across multiple machines with network rendering. This is extremely beneficial l if you're running an older computer because you will get render speeds 2.5-3x faster. I highly recommend downloading the demo version and trying it out for yourself. You will love it. It's only $99 too! The easiest way to render in the background, while still working in After Effects, is to open Media Encoder CC. Go to File > Add After Effects Composition… then navigate to your Project file and choose the comp you want to render. You can just drag the comp into the queue in Adobe Media Encoder. It will ask you which comp you want to render. The program running in front will get the attention from the processor, so your video will not render as quickly in the background as it does in After Effects. That said, you can still save a lot of time. Things will run slowly if you don't have a lot of RAM. If you're doing a lot of work in After Effects, you'll want to max out your machine with RAM. Media Encoder contains more formats than After Effects and there are presets for Vimeo, YouTube, iPad, etc. so you can render directly to those formats. Here is a list of supported formats in Adobe Media Encoder. 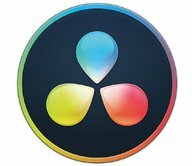 If you run into any problems or have questions, check out Adobe Media Encoder Help. If you're new to Media Encoder, there are several tutorials on YouTube and other places on the web. Here is a good one. We have another option for you. 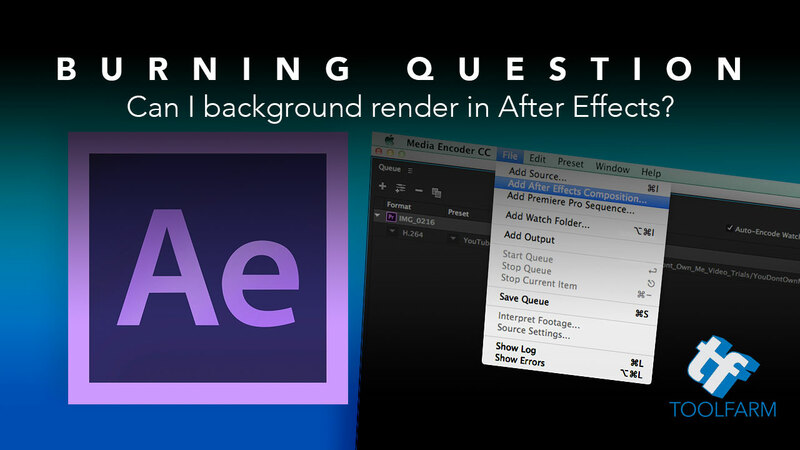 aescripts + aeplugins BG Renderer Pro for After Effects allows users to use the Render Queue to render comps in the background while still working in After Effects. AERender, another you may want to check out, is an older render script for After Effects which allows you to render in the background or render without opening After Effects. As the developer describes it, “A quick and easy way to launch AE renders without using the resources necessary to load up the After Effects UI and load each preview frame into memory. Plus this gives you the ability to launch multiple renders at once if you so choose. Have a Burning Question for Us?